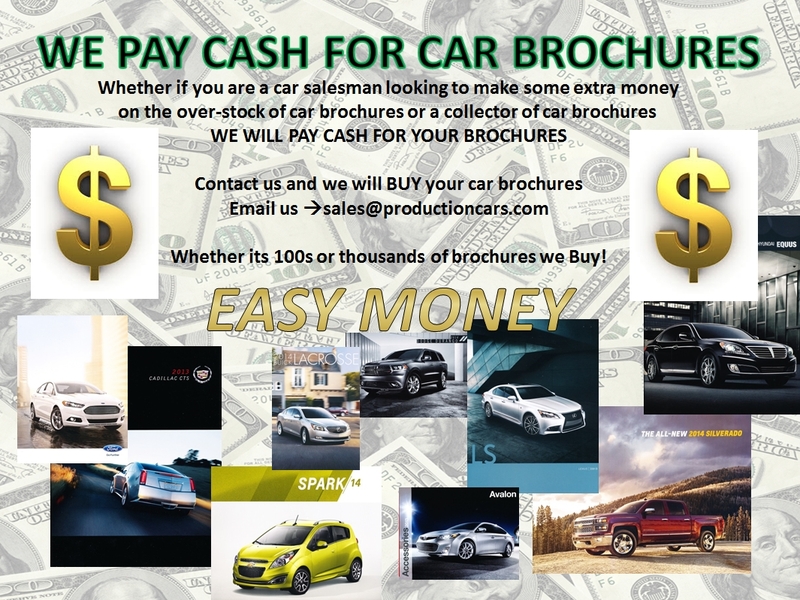 Welcome to Productioncars.com! 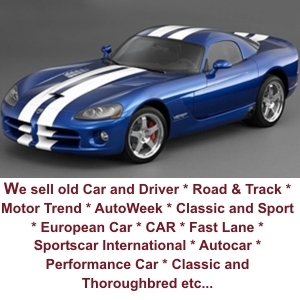 We BUY and sell automobile literature and automobile production figure information. We have thousands of car brochures, old car magazines and other auto literature. Our book has over 300 pages filled with automobile production numbers and sales figures. Over 300 Pages filled with production numbers and sales figures for hundreds of autos. or $39.95 Hard Copy. - 2005 Sales Figures included. Thousands of Vintage Car Ads from the past 40 years. Original Advertisements in thumbnail images and in full size. A great place for the enthusiast to view how automakers promoted their vehicles of the past. View a partial listing of available automobilia from a massive collection from the past 30 years. Back issues of Motor Trend, Car and Driver, Road & Track, as well as factory sales literature. Search by make and model to find exactly what is available. Car Auction & Show index of pic galleries as well as press released photos from the manufacturer from 1960 - 2009. An excellent resource including information on thousands of models around the world. You haven't seen a photo gallery until you've seen this. Literally thousands of press released photos and car show photos - all along with numerous information and facts: prices, specifications, options, horsepower ratings, top speed and performance figures.